Gino lives in Melbourne and believes the recent 'car rampage' killing spree in his home city may be a real event. This puts him at odds with many prominent YouTube 'truthers' who claim that the event was staged and/or a 'hoax'. In Impromptu Chat #10, Gino explains why he thinks the 'truth movement' may be wrong about this event. The conversation soon moves on whether or not 'pizzagate' is yet another red herring, and then JLB spends some time updating the listeners on his latest research and content, including the upcoming Dinosaur documentary, crowd psychology insights from Gustave le Bon, and some amazing coincidences in film and music related to 9/11 - and what these coincidences might reveal to us about the nature of reality. Mp3 file available below. Free and Full Members also have access to the video version when logged in, as well as timestamps and references/links. This content is for Freeloader members only. Over the coming weeks, Lucas and JLB will be broadcasting live shows to discuss their upcoming feature-length film, 'Dinoskeptics' (working title). As part of the production process, the pair will be going on a roadtrip into the heart of Australia to a little town called Winton. For more information about the project, see this page. Episode #4 of Dinoskeptics Live was broadcast on 28-Dec-2016 and is available in mp3 format for you below. Free and Full Members of this site can also access the show in video format (when logged in). 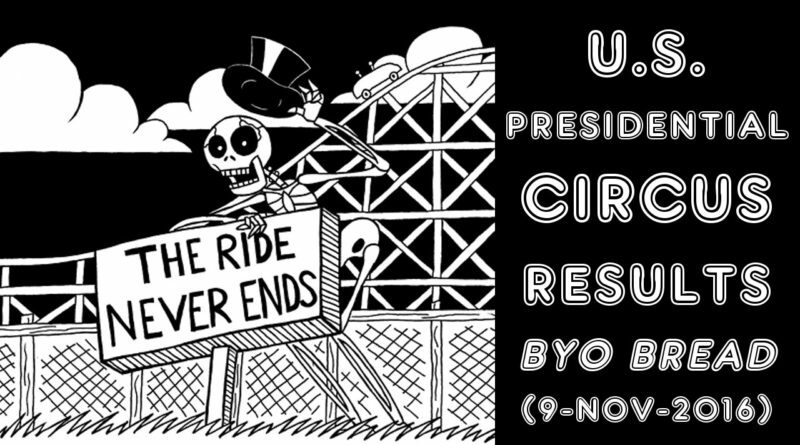 Please note that due to technical problems the audio quality of this episode is poor in some sections. 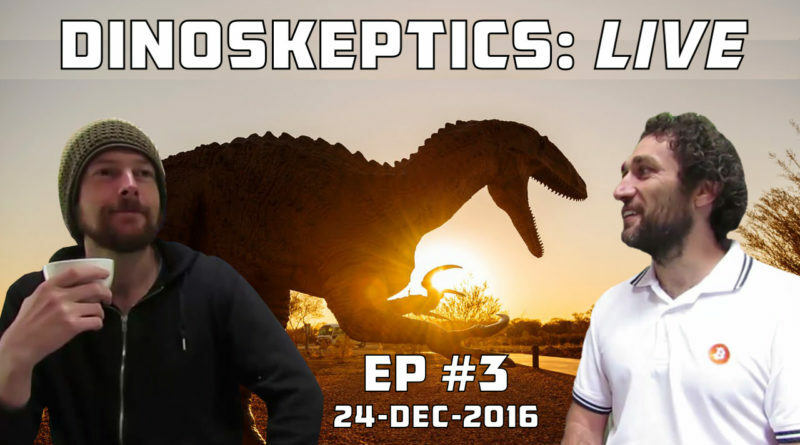 Episode #3 of Dinoskeptics Live was broadcast on 24-Dec-2016 and is available in mp3 format for you below. Free and Full Members of this site can also access the show in video format (when logged in). Episode #2 of Dinoskeptics Live was broadcast during the evening of 20-Dec-2016 and is available in mp3 format for you below. Free and Full Members of this site can also access the show in video format (when logged in). Please note that due to technical problems the audio quality of this episode is poor in some sections. Meta Fe is finally in season, and the first official episode features a perfect guest to get the show rolling. 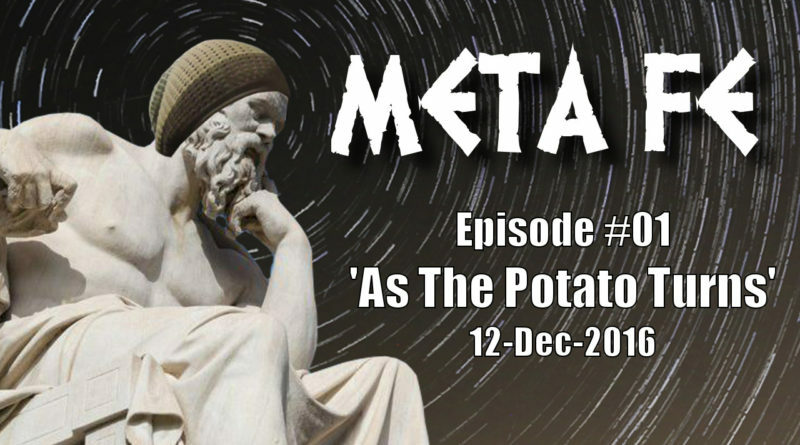 Tomfoolery of the ISS (Tom) has recently attracted attention for his YouTube series entitled 'As The Potato Turns', a comical summary and analysis of the Flat Earth-themed reality-YouTube drama brought to us by the likes of Patricia Steere and her 'FEOHP'. Tom's series is set as a parody, with each episode in the series offering a concise synopsis of the broader story arc at the centre of Steere's serial (as well as related shows). 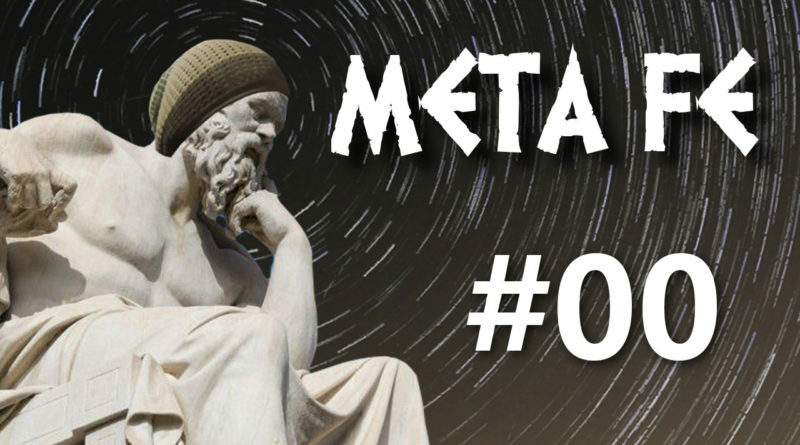 Meta Fe is a sporadically-scheduled interview/roundtable vodcast/podcast focused on the meta aspects of the 'Flat Earth renaissance' which has taken the 'alternative media' scene by storm since early 2015. Rather than petty debates about the shape of the earth, Meta Fe focuses on questions regarding the sociology and psychology of the Flat Earth scene: who is leading/following this online 'movement', and why? How do these people interact with one another, and are these social dynamics predictable? Where is this 'movement' headed, and what can it teach us about the 'truth movement' in general? Available in both mp3 audio format and video format as well. All visitors have access to the mp3 audio file below; Free Members and Full Members can also stream the video when logged in. Production note: The show was broadcast live via google hangout which can sometimes lead to unequal volume. The levels were adjusted about 10 or 15 minutes into the discussion so please bear with it for the early portion of the show. Episode #1 of Dinoskeptics Live was broadcast during the evening of 6-Dec-2016 and is available in mp3 format for you below. Free and Full Members of this site can also access the show in video format (when logged in). Guest for Episode #000: Validation Boy. Available in both mp3 audio format and video format as well. All visitors have access to the mp3 audio file below; Free Members and Full Members can also stream the video when logged in. The audio files for this episode are presented in two parts for your convenience. This is the second 'pilot' episode of Meta Fe, the latest podcast/vodcast hosted by JLB. The rising star of Flat Earth, Patricia Steere, has been accused of psychopathy by her ex-lover, and fellow Flat Earth promoter, Antonio Subirats. Live, on the air. Other FE believers are struggling with the latest fallout. We discuss all of this and more. FE is the gift which keeps on giving. Reality TV at its finest. So you think you live on a spinning ball? Or a flat disc? Who cares! Let's put our differences aside and enjoy the best drama money can't buy... or can it? Guests for Episode #00 include: Tim Osman (aka Cognitive Dissonance), Cathexis, EdUpsidedownHead, and 'Isa'.